In the Republic on 16 october in Lori, Tavush, Syunik Provinces, in Artsakh rain and in some places fog are predicted. On 14-17 in separate places light rain is possible. On 18 no precipitation is predicted. Northeast wind speed is 3-8 m/s. 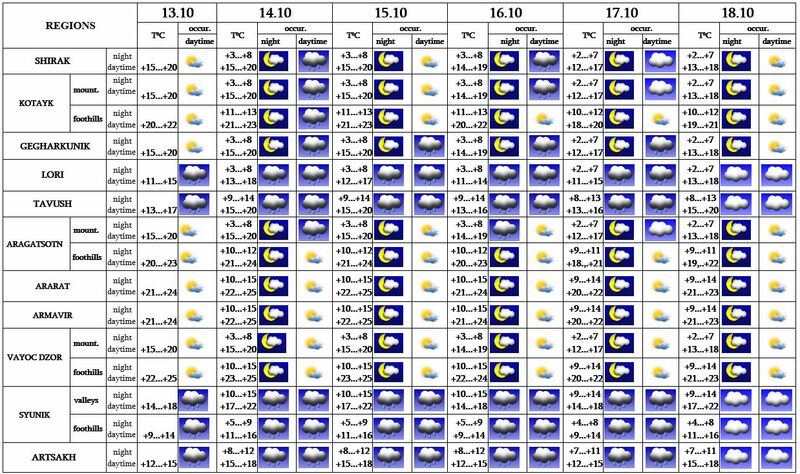 In Yerevan on October 13-18 no precipitation is predicted.